Our Learning and developmental program is based on the National Early Years Learning Framework for Australia. This framework is based on current research of early childhood development, and the aim of the frame work is to extend and enrich children’s learning from 18 months to five years and through to the transition to formal schooling. The framework see’s relationships as the basis for learning. Relationships with family (the child’s first and most important teachers), community, culture and land, are all important for learning. When they play and wonder, explore the world and come up with new ideas they are actively learning. Knowing where and with whom you belong ? is an integral part to human existence. Children belong first to family, a cultural group, a neighbourhood and a wider community. In early childhood, and throughout life, relationships are crucial to a sense of belonging. Belonging is centre to being and becoming in that it shapes who the children are and who they can become. Childhood is the time to be, to seek and make meaning of the world. It is about the present and then knowing themselves, building and maintaining relationships with others, engaging with life’s joys and complexities, and meeting challenges in everyday life. The early childhood years are not solely preparation for the future but also about the present. Children’s identities, knowledge, understandings, capacities, skills and relationships change during childhood. They are shaped by many different events and circumstances. Becoming reflects this process of rapid and significant change that occurs in the early years as young children learn and grow. It emphasises learning to participate fully and actively in society. "Samuel and Travis build a ramp for their toy cars and test how fast the cars go when the ramp is at different angels." "On a class nature walk, William notices that the leaves, which were once green, are now red, orange and yellow. He asks his teacher why the leaves are changing colour." "At the dramatic play centre, Sophia, Jacob and Hannah set up a pretend doctor's office. They take turns role-playing as the doctor, receptionist and patient. " "Whilst Miss Jess is sitting with a small group of children making play dough, exploring colour, following the directions of the recipe and taking turns to pour and stir the ingredients." Preschool age children are changing so rapidly, one minute your child is begging you to play lego with him, the next they are drawing a robot he and his friend want to build. Our carefully trained teachers think carefully about when, how, and where to help your child’s overall growth and development. We utilise every opportunity to help children learn – including meal times, clean up, and outdoor play time. No two pre-schoolers are the same, and we use what we know about your child and set individual goals for them. We keep track of their learning, so we know what they are ready to learn next to encourage children to continue to thrive and challenge themselves. At Croydon Park Cottage we believe in “Making Every Moment Count”. 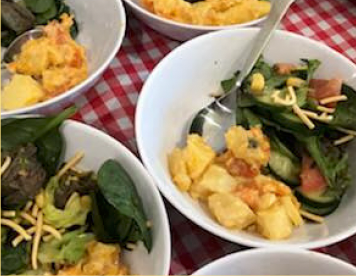 At Croydon Park Cottage we have a six week rotatating seasonal menu, providing children with a variety of nutritious foods for Morning Tea, Lunch, Afternoon Tea and Late Snack. There is a daily menu board located near in the foyer, and menu suggestion forms are also available. 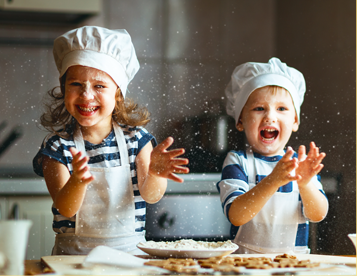 We put a huge amount of love and effort into providing quality nutritious meals, and welcome all your feedback and suggestions.The children participate in cooking experiences and enjoy meal times in a community feel dining experience. We also happily cater for children with allergies, religious needs and special dietary requirements and are more than happy to discuss how we can cater for your child's needs in more detail. 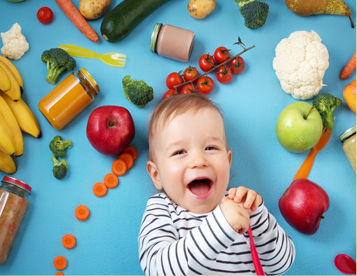 The new child care package has started 2 July 2018. Please see the the message from Education Department below. You need to do a Centrelink Child Care Subsidy Assessment before you start childcare centre in advance. You can do your assessment through myGov using your Centrelink online account. Or, through the Express Plus Centrelink mobile app. This is important, because if you don’t do your assessment, you may not receive any subsidy from 2 July. Please do this as soon as possible. To find out more, visit education.gov.au/childcare or watch this short video: https://www.youtube.com/watch?v=8q6sTeqWkcY. Croydon Park Cottage Team can assist you as well as ACCS(Additional Child Care Subsidy) if needed. Please contact our professional admin team.